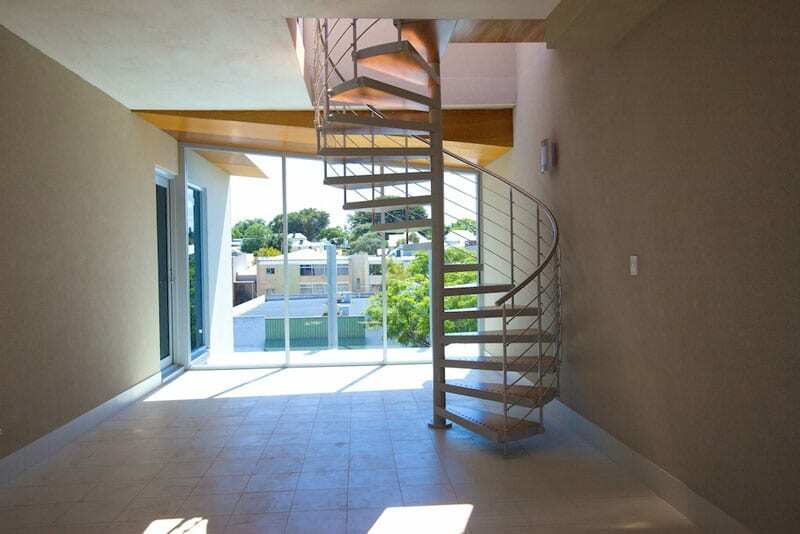 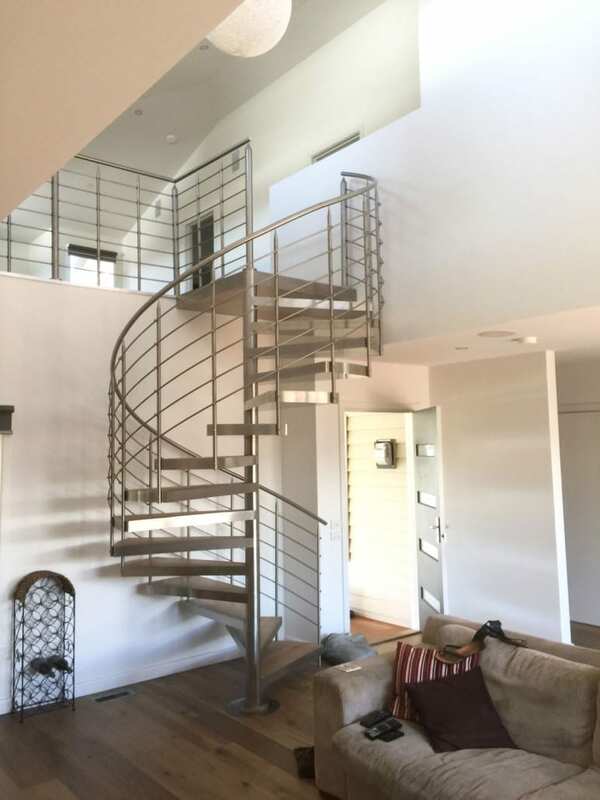 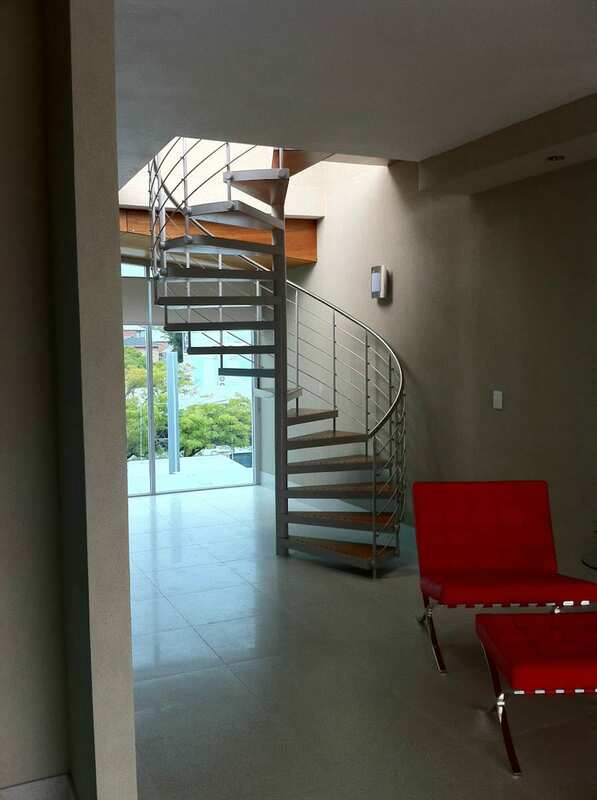 The sweeping lines of the stainless steel tube balustrade are the defining feature of this design. 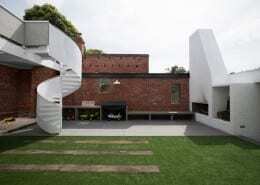 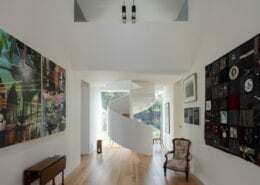 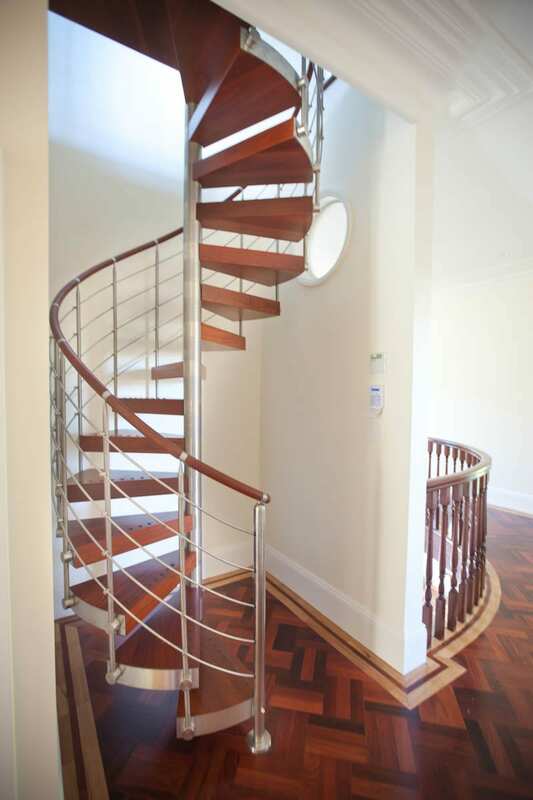 These lines carry your eye up and around the spiral staircase, enhancing the already elegant form. 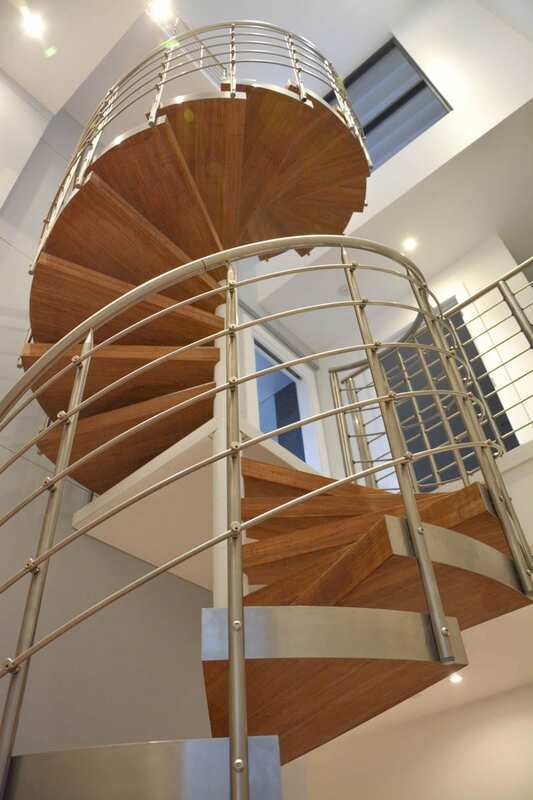 A thick timber or stainless steel handrail complements the raking balustrade and the thicker design of the universal series. 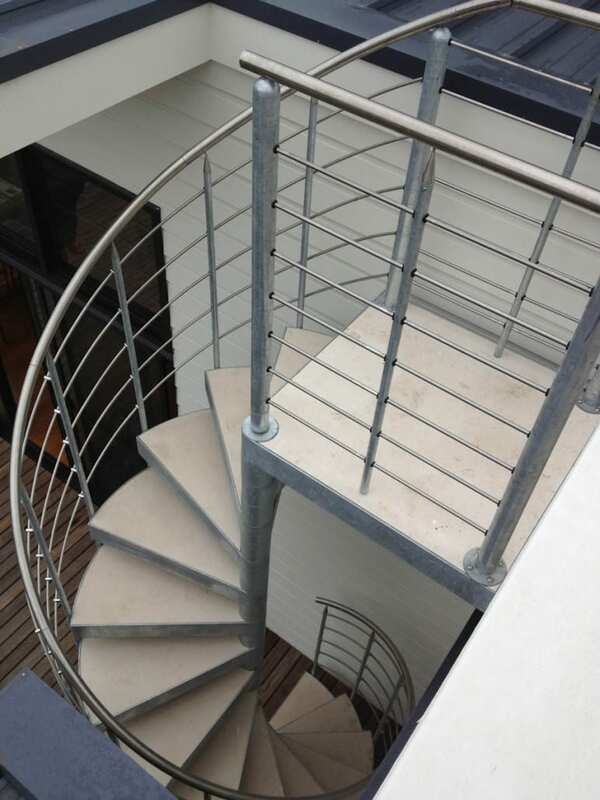 All the fittings and fixtures of the balustrade are finished in stainless steel which is both durable and ties in with the stainless steel balustrade. 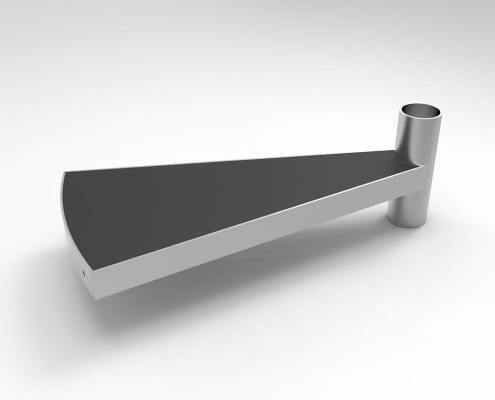 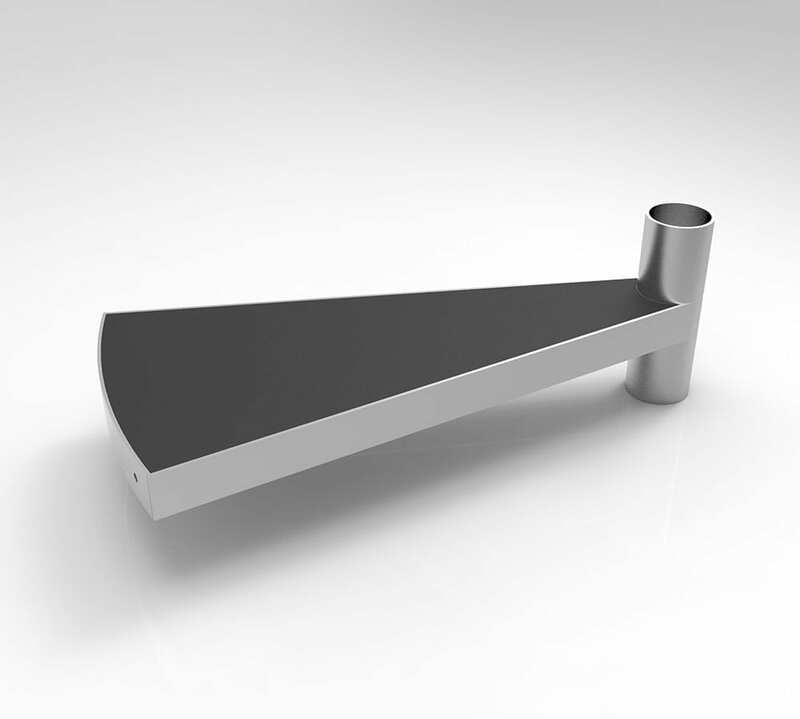 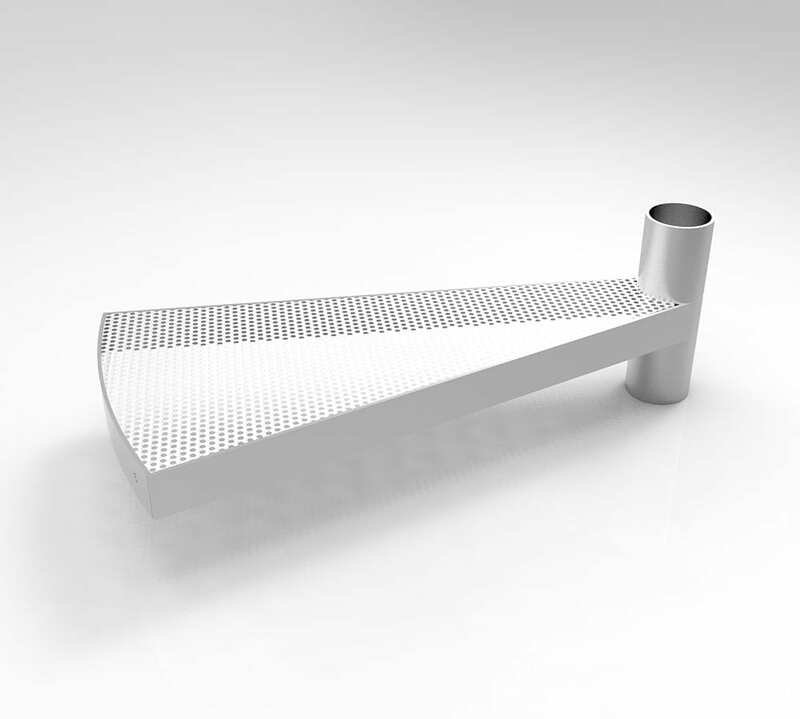 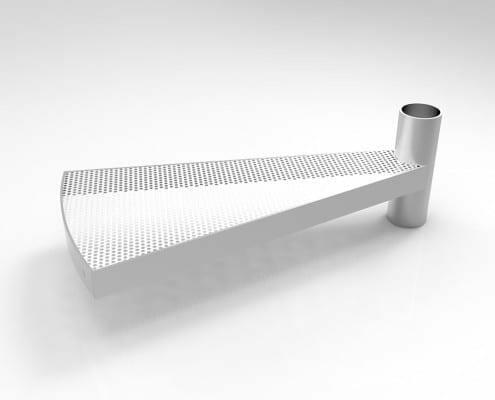 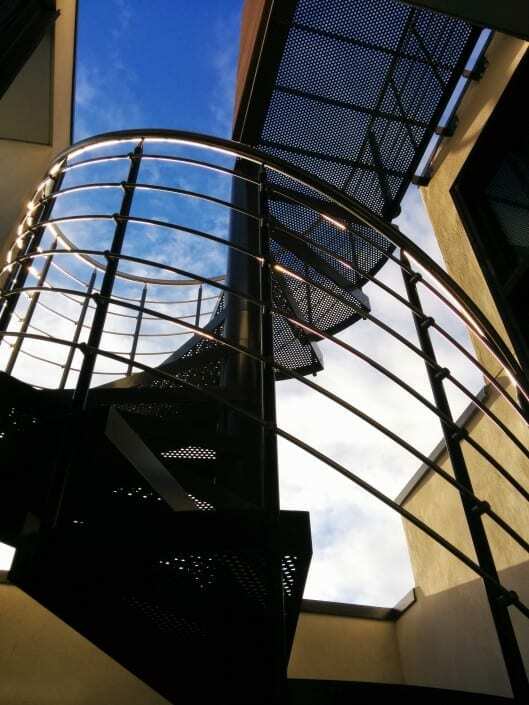 The balusters can either be powder-coated, hot-dip galvanised or finished in satin stainless steel. 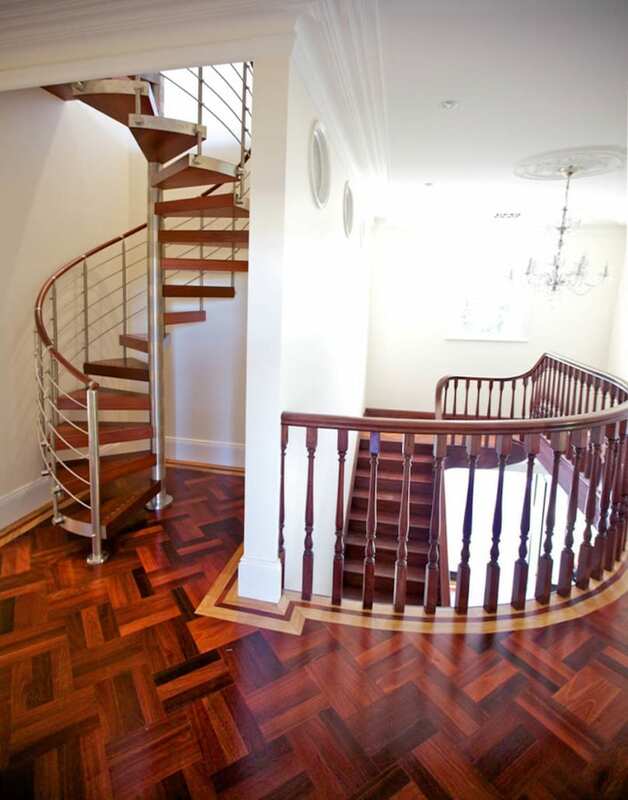 The column and tread finishes can be designed to either match or contrast. 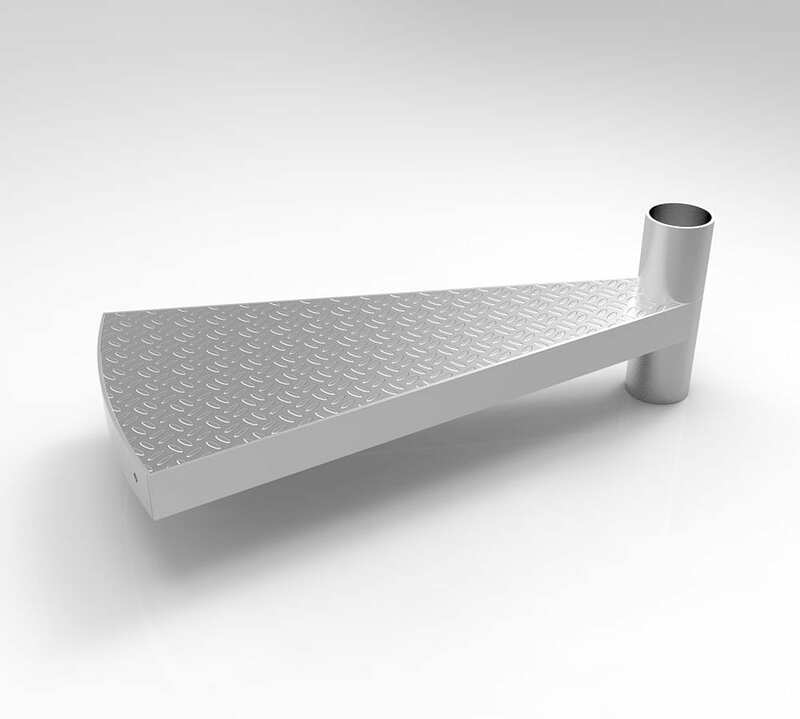 Universal Series Fact Sheet Mac Series Datasheets Accreditation Design Guide Why enzie? 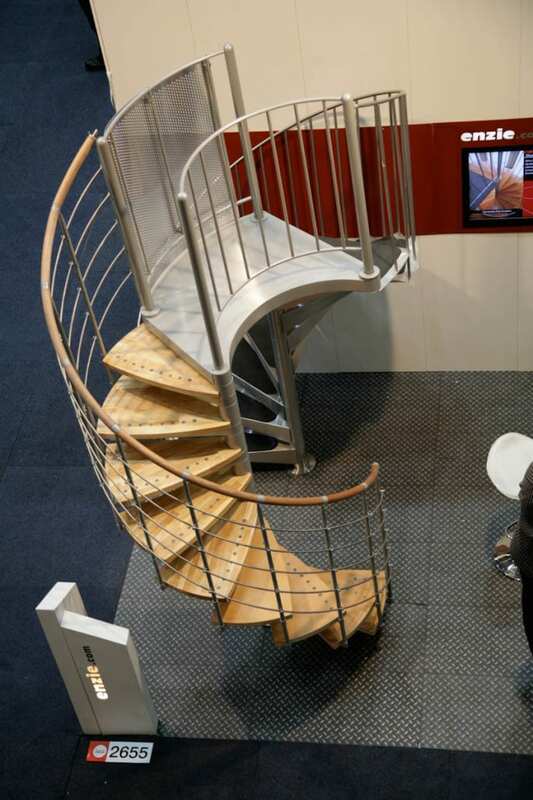 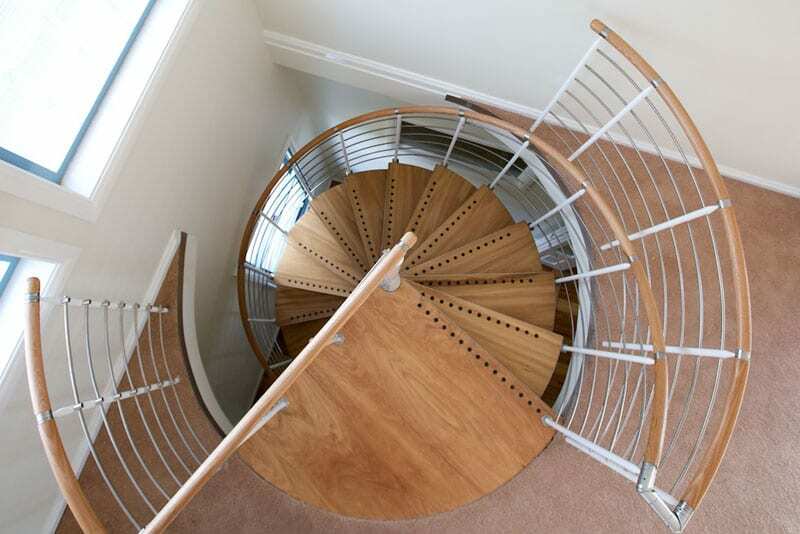 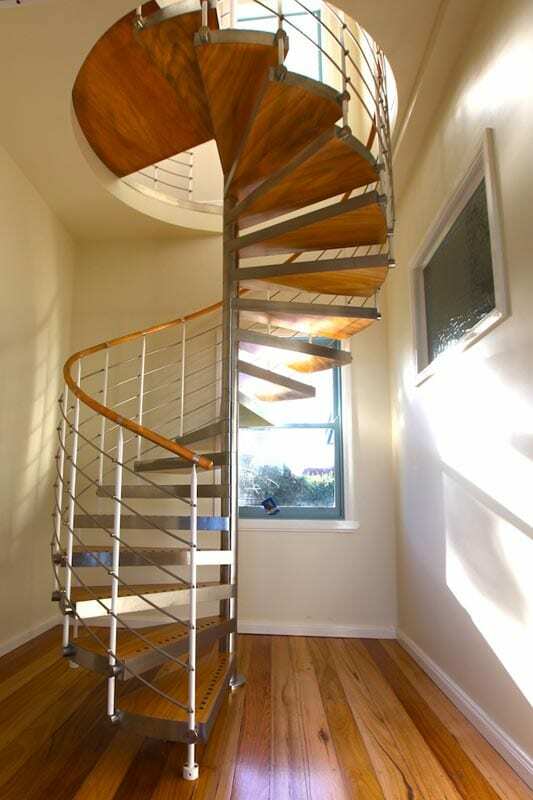 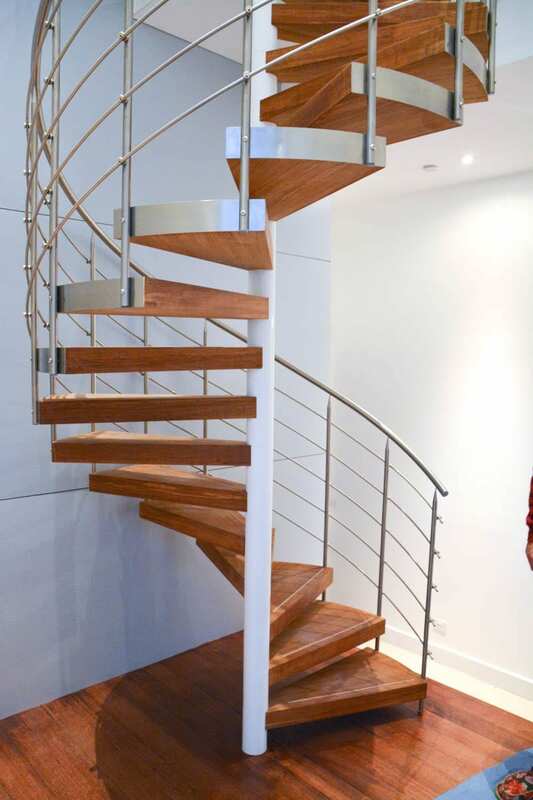 The classic range of spiral staircases is available with two balustrade options, the H and the H-S balustrades. 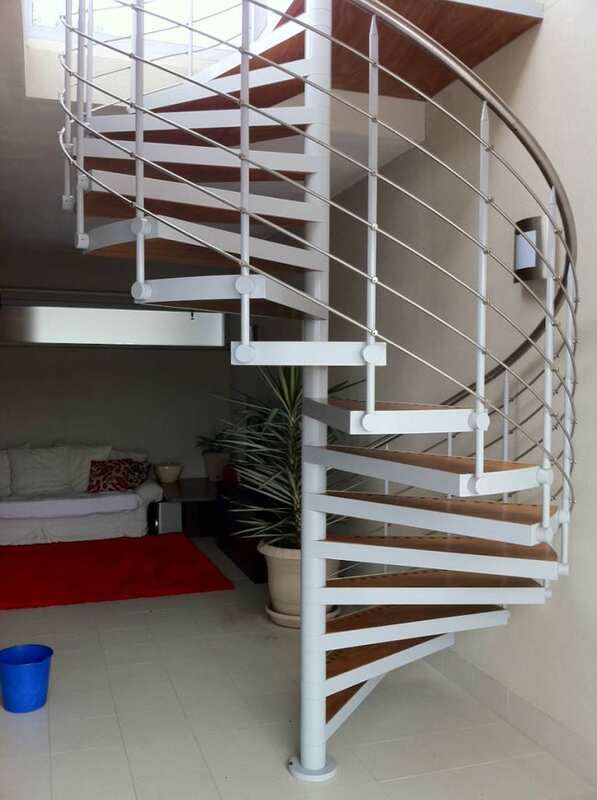 The design of both balustrade is very similar, the difference is in the spacing of the balusters (the steel uprights). 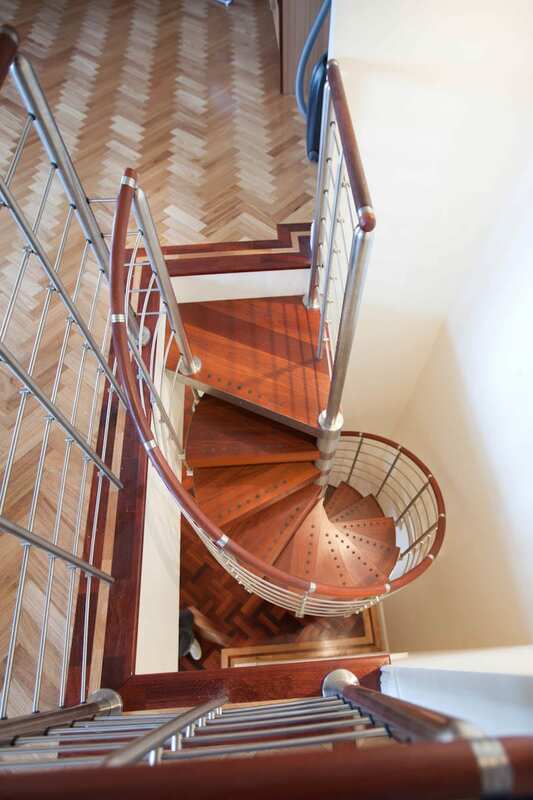 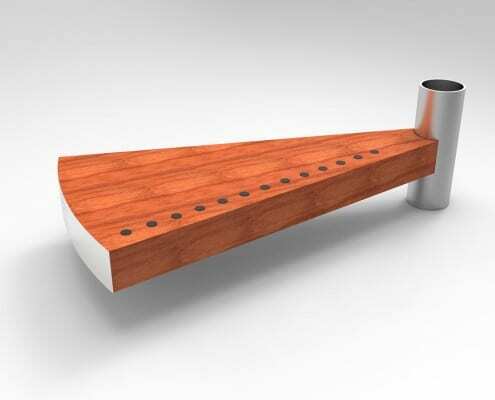 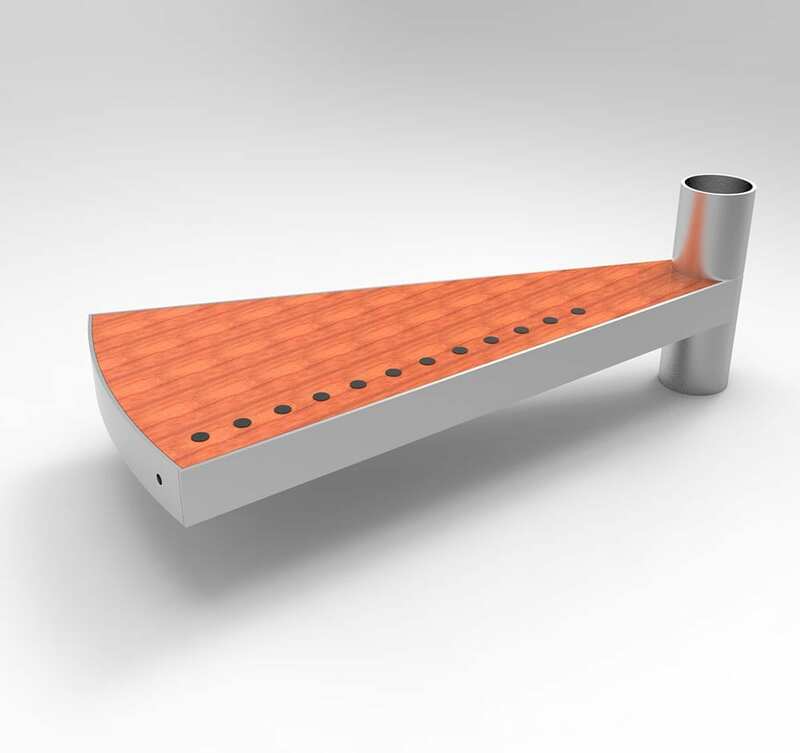 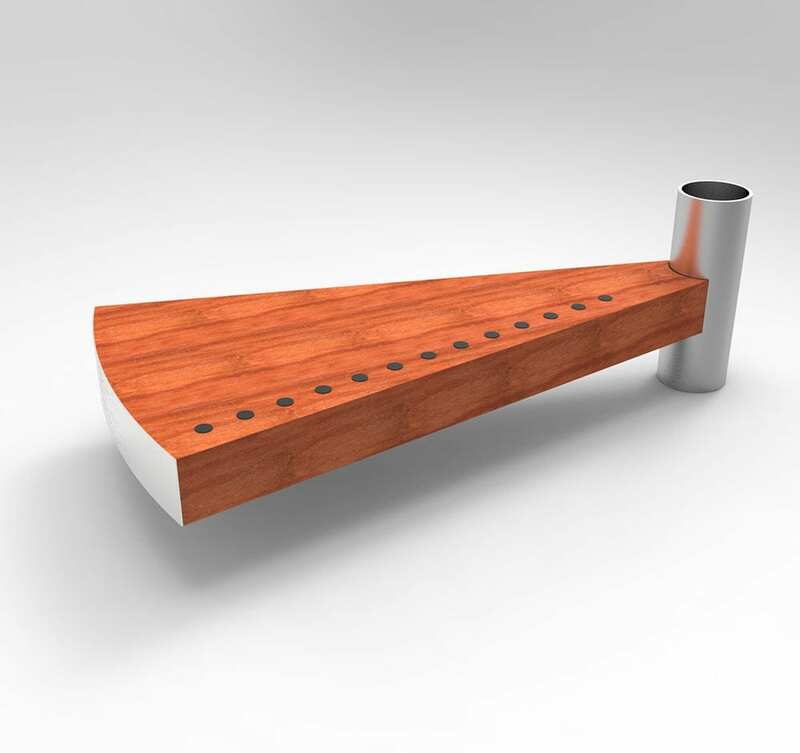 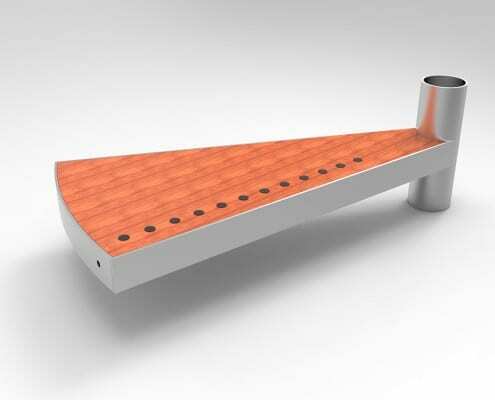 The H model has 3 balusters per tread spaced at up to 180mm. This spacing is larger than what you will find on most stairs. 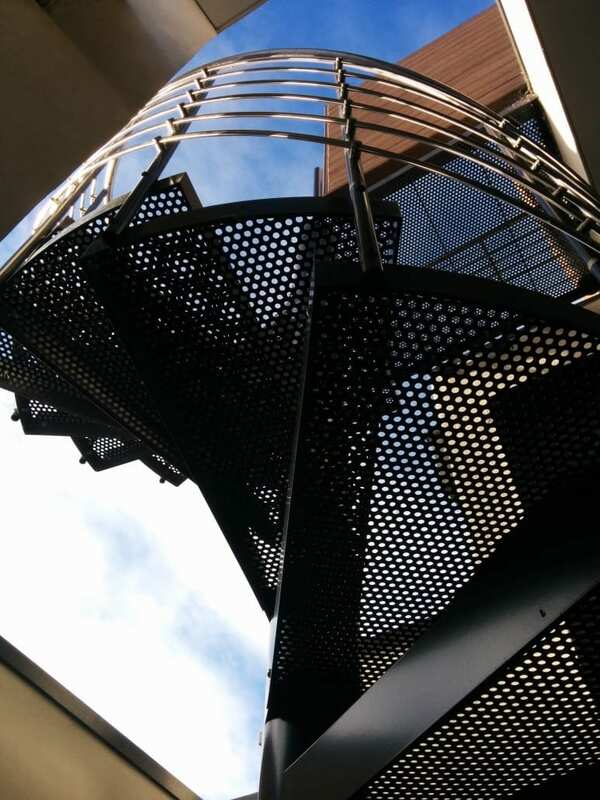 This spacing complies with the BCA as outlined by our Certificate of Accreditation which is issues by the Building Control Commission. 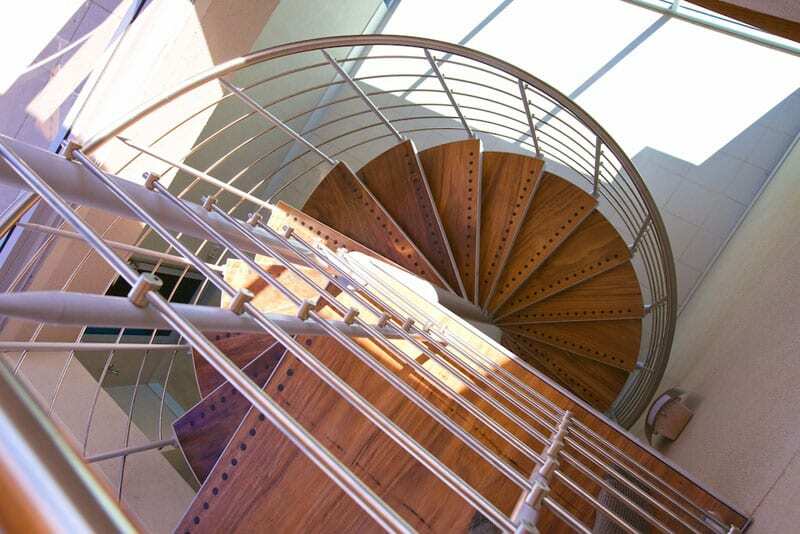 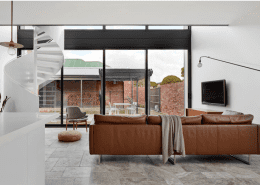 The H-S model has one extra baluster per tread, bringing the gaps to under 125 mm. 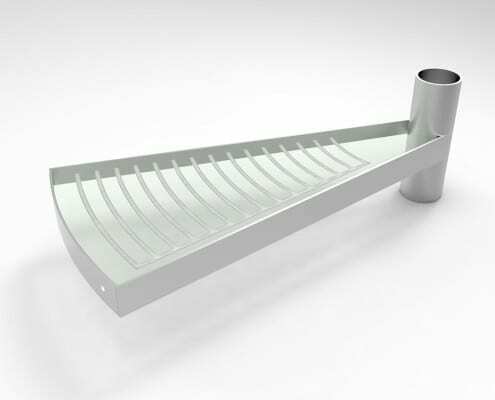 This spacing complies with the Deem to Satisfy component of the BCA and is required in NSW and QLD. 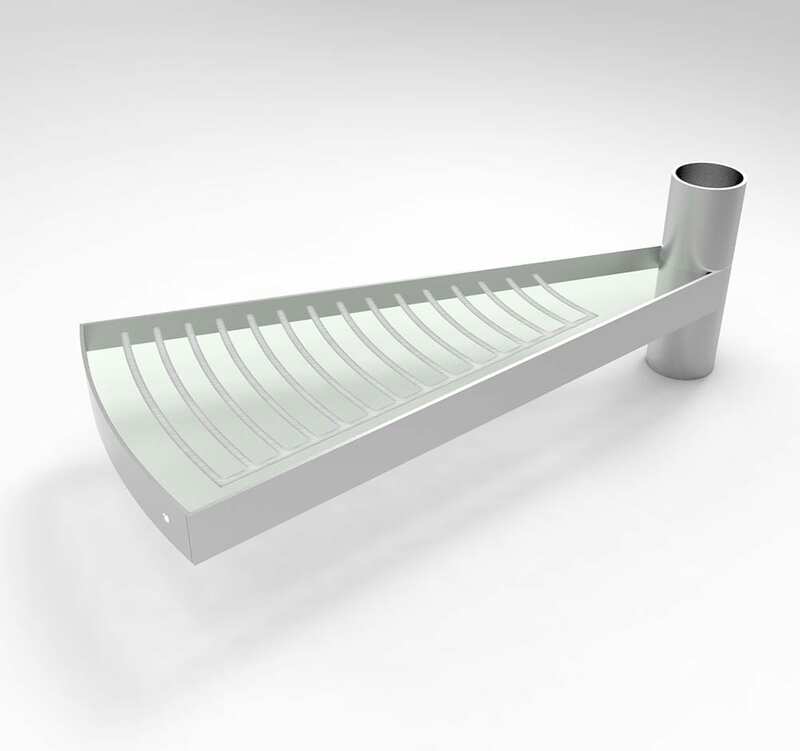 Finally there is the option to wrap the balustrade with our Glass or Aluminium Enfold panels. You can see photos of this design above. 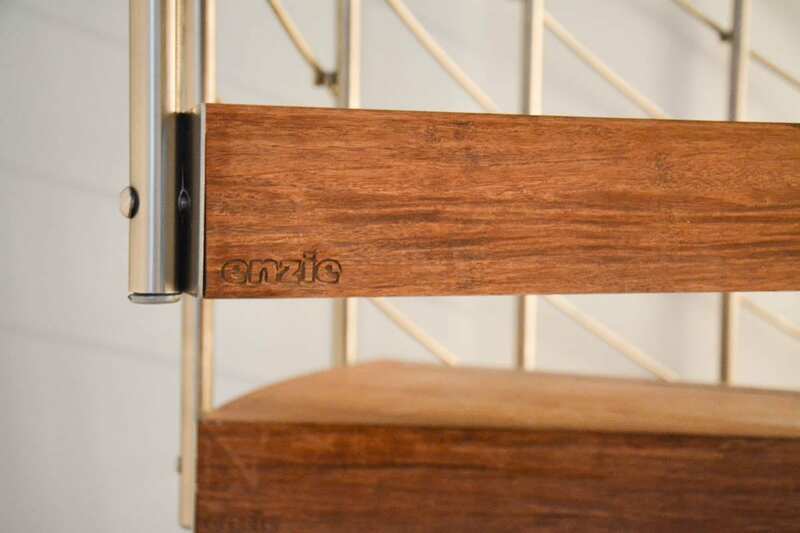 As your enzie representative for more information.